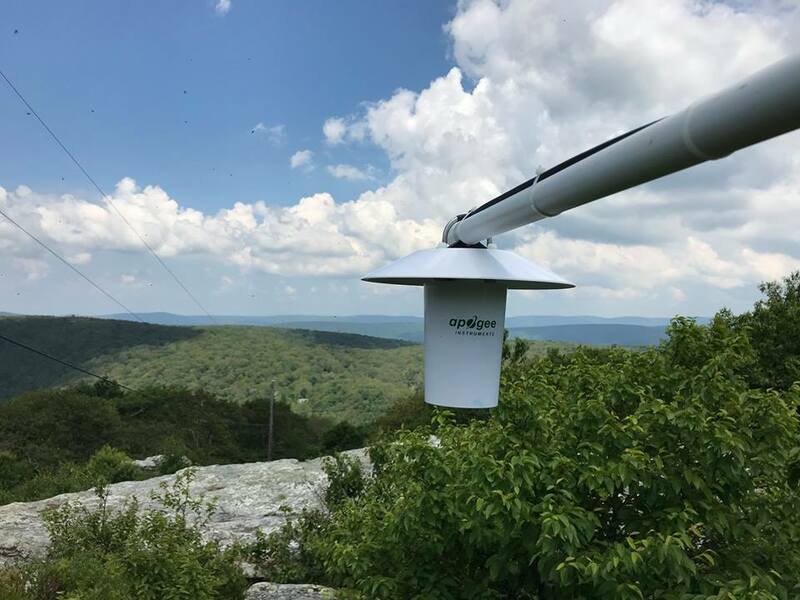 The Virginia Tech Department of Geography has begun the development of a regional mountaintop mesonet in the Appalachian Mountains of Virginia and West Virginia, and the Apogee TS-100 aspirated radiation shield is being used to house temperature sensors for each installation. 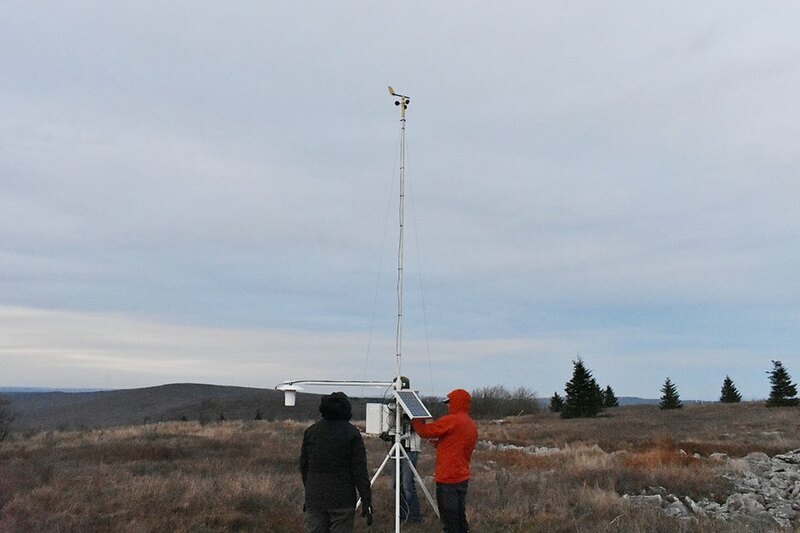 The mesonet will help fill observation gaps for the National Weather Service, and complement long-term vegetation research that is being conducted within the geography department in conjunction with federal (USFS, US Fish & Wildlife Service) and state (VA & WV state parks) agencies at each high elevation weather station site. The TS-100 was selected for its performance when snow covers the ground and the low current draw of its fan. 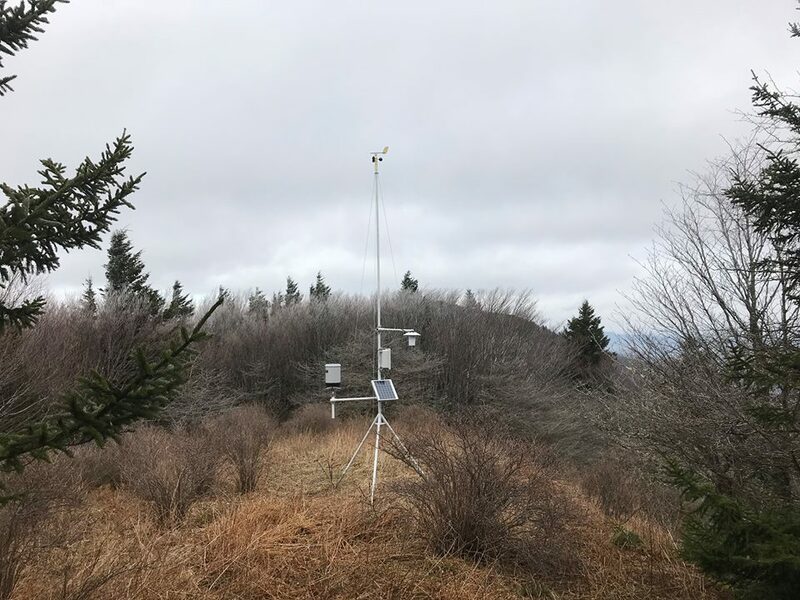 The highest peaks of the Central Appalachians remain cloudy (often with precipitation) for extensive periods of time during the winter months, and with solar-12v weather stations the low power draw of the TS-100 is key. 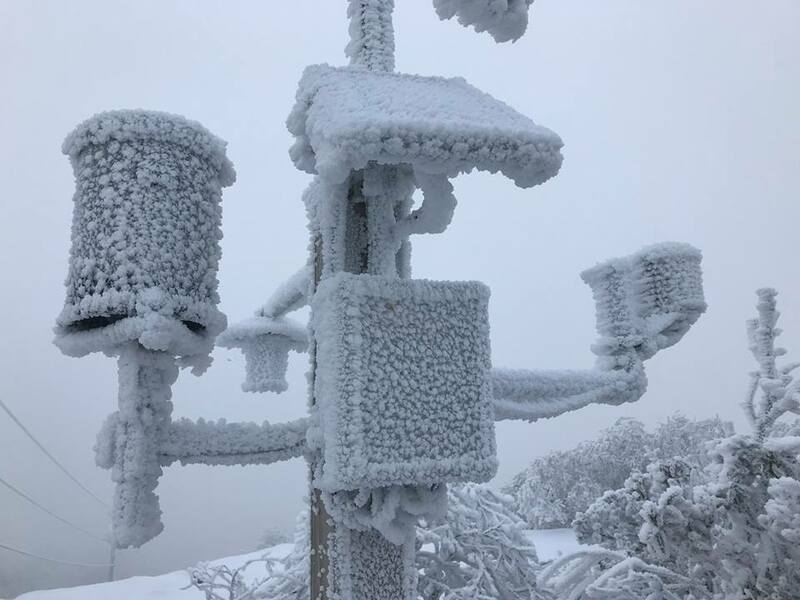 Over the first two years of installations, the stations have monitored harsh weather with long stretches of subzero temperatures, winds in the 70-90 mph range, and often extensive icing. Not a single failure has occurred with the TS-100 units. Reliability is extremely important as many of the stations are located in remote, off-trail areas and most often carried in via backpack. Winter access is particularly difficult at times and may be cut off for weeks or months at a time. In addition to operational and research aspects of the project, the stations provide recreational users with online access to the station data as many station sites were selected in order to provide detailed weather information for popular areas along the Appalachian Trail in Virginia and for cross-country and downhill ski resorts in the Allegheny Mountains of West Virginia. "Over the past year, I have been using your aspirated radiation shields for our mountain mesonet project and they have been awesome, working without a hitch through all manner of severe weather conditions. Unquestionably the best option available for remote stations!"